The thing is, you're there and you're like "WHAT IF THESE ARE NOT EASILY GOT IN AMERICA" and sure, you could check your phone, but that's not fun. Also sometimes you're at Blackwell's in Oxford and you're like "you know, maybe I need these £4 secondhand copies of Necropolis and Bedlam, because it's not like I DON'T want to read about London as a graveyard and how it's historically dealt with its mentally ill residents." 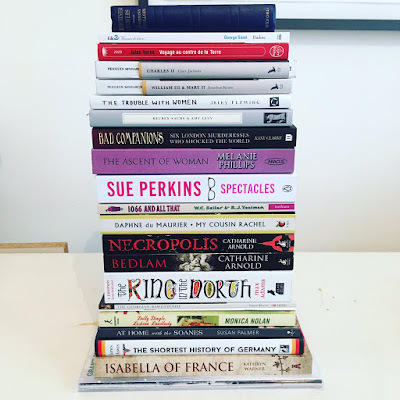 And then it kind of continues in that vein and then you have all the books except for those giant biographies of Catherine of Aragon and Jane Carlyle, because they are MASSIVE and you just don't have the room/upper body strength to bring them back across the Atlantic. Jenny and I went to All the Bookshops. Or, most of the bookshops. Maybe some of the bookshops. Meaning between us, we surely covered...maybe 10%. I would guess. Because London has ALL THE BOOKSHOPS. I thought Chicago was rich in them, but Chicago is a mouse treasuring its crumb of cheese next to the London Rat King with his own international cheese shop (not to confuse this metaphor, but London also has some truly excellent cheese). 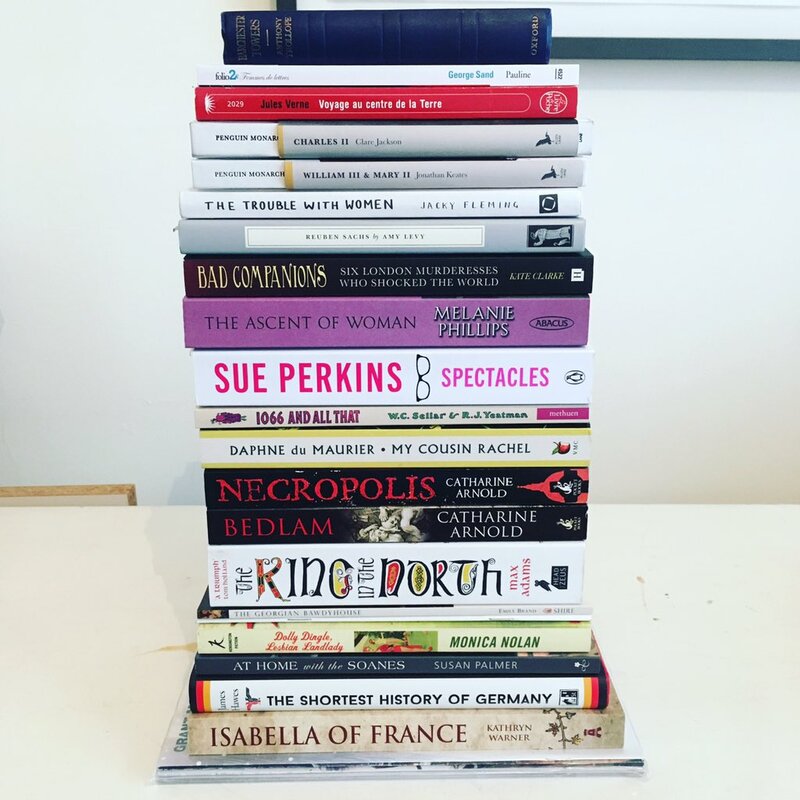 London Review of Books! Waterstones! Daunt Books! Charing Cross Road bookshops whose names I have forgotten! And so forth. And then there are the places that weren't quite bookstores, but that also sold books. The Samuel Johnson House Museum. The British Museum. The Thomas Carlyle House. Sir John Soane's Museum. The Museum of London. Are you supposed to visit these places and then just NOT buy books about their subjects? That seems rude. Hopefully more in-depth posts on their way, filled with the pictures I insisted on taking throughout the trip. For now, I'll be happy when I stop waking up at 4:45 AM. Thank you for coming to London with meeeeee! You are a beautiful tropical fish and I am glad that I could share my expertise on how to get All the Books home from Abroad. Jenny has some good ideas and also that sounds heaaaaavy to be lugging around the airport. But look at that stack. Also that was an excellent rodent & cheese metaphor going on. Can't miss the wonderful styling and interior at this place. As I walked upstairs, my eyes wandered about the brick wall interior and the overall décor. This is by far one of the best venues in Los Angeles to organize event.